Venue : Online advocacy program using social media (Facebook) towards 10k steps per day. 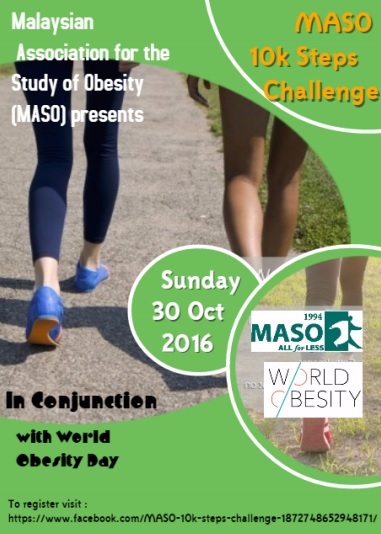 30 October 2016 : Participants go for a walk and accumulate 10,000 steps on 30 October 2016. Participants upload their picture with pedometer/ apps with number of steps accumulated on 30 October.